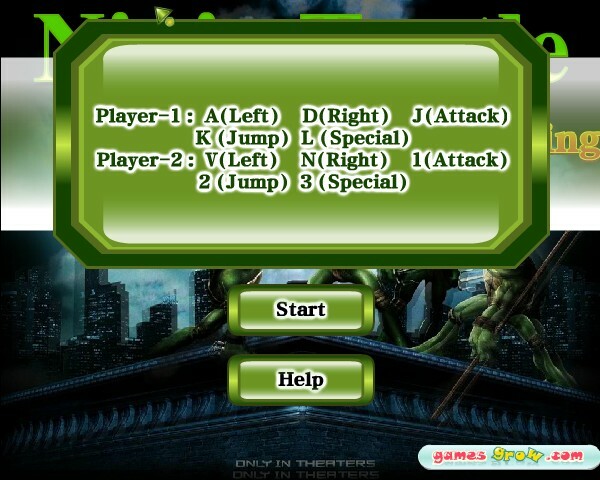 Two Player Beat`em Up Action Gamesgrow Cooperative Click to find more games like this. 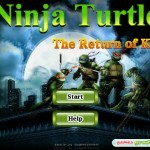 The street is full of gangster and mafia, help Turtle ninja to eliminate all enemies. 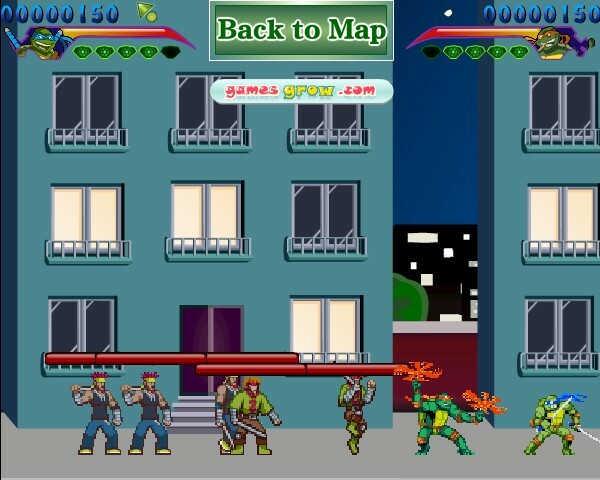 In this game of the Ninja turtles you can choose to play with the sing player mode or multiplayer’s mode for more entertainment with your friends. 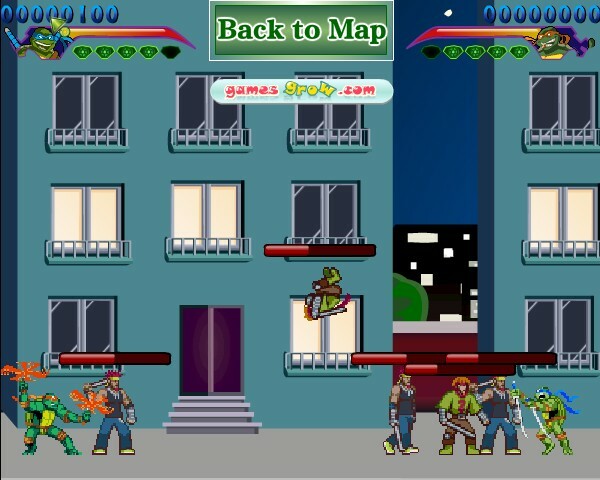 In each fighting scene of Leonardo and his friends with the bad guys in this city, you have to fight and win a number of guys armed with weapons coming to kill you. 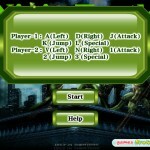 Just complete the killing all of them to finish the stage and you can continue to the next one. 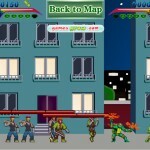 Your fighting skills in the levels are very important because you will face the dangerous gang in this city, and each of them can fight well against you while you are just alone here. 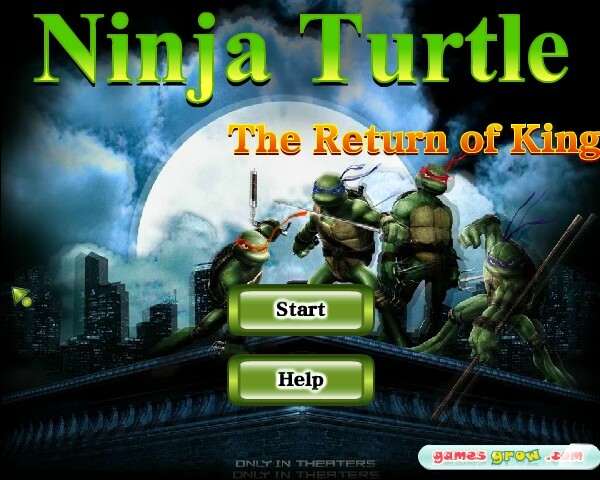 You can call for more helps from your friends, but if you play this game in the single player mode then you will face more danger. Smart movement can help you much.